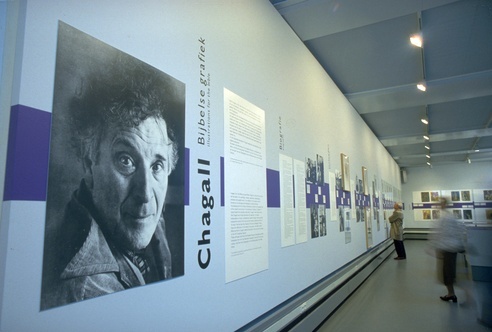 For the exhibition ‘Chagall: Biblical Graphics’ a purple sling, which refers both to religion and festivity, was painted on the museum walls. The sling is partially interrupted with typography for the introduction and chapter titles. The artworks are arranged above and below the purple sling. Visualspace coordinates the design and the layout of the museum walls.